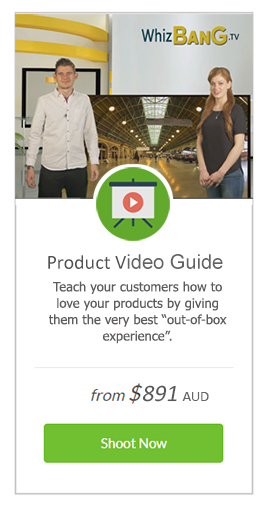 How much does a product video cost? Most people like to have a ball-park idea of what things will cost, but asking how much video costs is a little like asking an architect how much a building will cost...the variables are limitless! One rule of thumb used in the industry is that video costs around $1000 US dollars per finished minute, but this can easily vary from $800 to $3000 per minute. We generally produce two kinds of video –promotional videos and product video guides for products. Video guides take a bit more work because the footage and instructions have to be meticulously synchronized and require a lot of technical detail. 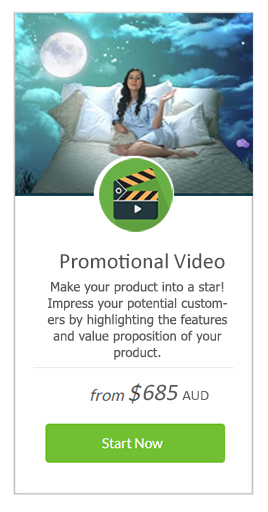 Promotional videos require a little more creativity but mainly focus on the the main features of the product. How do we offer such competitive rates? Most video production studios cater for a wide range of broadcast mediums such as broadcast television, DVD, cinematic screen and online. This usually requires a large amount of investment in expensive equipment which is recouped through the paying customer (that’s you). We do it differently because we only invest in the precise equipment required to produce high quality online video. We have also spent considerable time developing a highly efficient work flow specifically designed for online product video guides for products. This allows us to produce high quality competitively priced video. 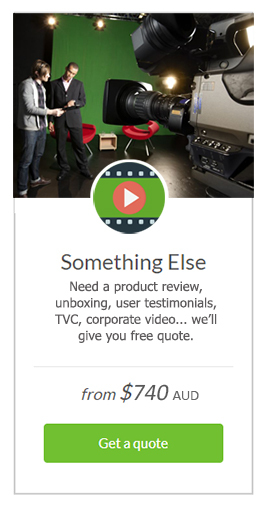 We are experts when it comes to producing online video guides. Producing instructional video is very different to producing other types of videos. Our many years of experience and specialized skills makes us the “best man for your job”... plus we offer very competitive pricing. Of course we can produce video at whatever budget level is required from semi-pro, through to “Hollywood” standards, however, what is most important is to clarify what the video needs to accomplish and then determine a realistic budget to achieve it. Why not get an instant free quote and then arrange an obligation-free chat to discuss your project. 1-3 hour on location/studio filming (travel not included). For a detailed quote, contact us. We'll tailor a package to meet your specific needs and budget. The online video production specialists!